This filter creates a labeled image that separates the input image into various classes. The filter computes the thresholds using the OtsuMultipleThresholdsCalculator and applies those thresholds to the input image using the ThresholdLabelerImageFilter. The NumberOfHistogramBins and NumberOfThresholds can be set for the Calculator. The LabelOffset can be set for the ThresholdLabelerImageFilter. This filter also includes an option to use the valley emphasis algorithm from H.F. Ng, "Automatic thresholding for defect detection", Pattern Recognition Letters, (27): 1644-1649, 2006. The valley emphasis algorithm is particularly effective when the object to be thresholded is small. See the following tests for examples: itkOtsuMultipleThresholdsImageFilterTest3 and itkOtsuMultipleThresholdsImageFilterTest4 To use this algorithm, simple call the setter: SetValleyEmphasis(true) It is turned off by default. SphinxExamples/src/Filtering/Thresholding/ThresholdAnImageUsingOtsu/Code.cxx, SphinxExamples/src/Segmentation/LevelSetsv4Visualization/VisualizeStaticDense2DLevelSetAsElevationMap/Code.cxx, SphinxExamples/src/Segmentation/LevelSetsv4Visualization/VisualizeStaticDense2DLevelSetZeroSet/Code.cxx, SphinxExamples/src/Segmentation/LevelSetsv4Visualization/VisualizeStaticMalcolm2DLevelSetLayers/Code.cxx, SphinxExamples/src/Segmentation/LevelSetsv4Visualization/VisualizeStaticShi2DLevelSetLayers/Code.cxx, SphinxExamples/src/Segmentation/LevelSetsv4Visualization/VisualizeStaticWhitaker2DLevelSetLayers/Code.cxx, and WikiExamples/Segmentation/OtsuMultipleThresholdsImageFilter.cxx. Definition at line 56 of file itkOtsuMultipleThresholdsImageFilter.h. Definition at line 66 of file itkOtsuMultipleThresholdsImageFilter.h. Definition at line 90 of file itkOtsuMultipleThresholdsImageFilter.h. Definition at line 91 of file itkOtsuMultipleThresholdsImageFilter.h. Definition at line 79 of file itkOtsuMultipleThresholdsImageFilter.h. Definition at line 84 of file itkOtsuMultipleThresholdsImageFilter.h. Definition at line 83 of file itkOtsuMultipleThresholdsImageFilter.h. Definition at line 75 of file itkOtsuMultipleThresholdsImageFilter.h. Definition at line 82 of file itkOtsuMultipleThresholdsImageFilter.h. Definition at line 92 of file itkOtsuMultipleThresholdsImageFilter.h. Definition at line 80 of file itkOtsuMultipleThresholdsImageFilter.h. Definition at line 87 of file itkOtsuMultipleThresholdsImageFilter.h. Definition at line 86 of file itkOtsuMultipleThresholdsImageFilter.h. Definition at line 76 of file itkOtsuMultipleThresholdsImageFilter.h. Definition at line 85 of file itkOtsuMultipleThresholdsImageFilter.h. Definition at line 65 of file itkOtsuMultipleThresholdsImageFilter.h. Definition at line 63 of file itkOtsuMultipleThresholdsImageFilter.h. 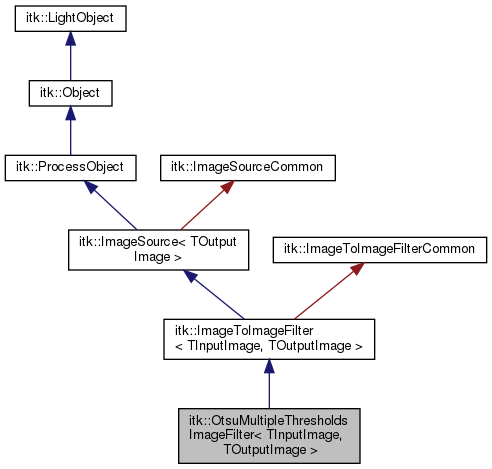 Definition at line 64 of file itkOtsuMultipleThresholdsImageFilter.h. Definition at line 93 of file itkOtsuMultipleThresholdsImageFilter.h. Set/Get the offset which labels have to start from. Default is 0. Set/Get the number of histogram bins. Default is 128. Set/Get the number of thresholds. Default is 1. Should the threshold value be mid-point of the bin or the maximum? Default is to return bin maximum. Definition at line 129 of file itkOtsuMultipleThresholdsImageFilter.h. Set/Get the use of valley emphasis. Default is false. Definition at line 96 of file itkOtsuMultipleThresholdsImageFilter.h. Definition at line 155 of file itkOtsuMultipleThresholdsImageFilter.h. Definition at line 153 of file itkOtsuMultipleThresholdsImageFilter.h. Definition at line 154 of file itkOtsuMultipleThresholdsImageFilter.h. Definition at line 161 of file itkOtsuMultipleThresholdsImageFilter.h. Definition at line 156 of file itkOtsuMultipleThresholdsImageFilter.h. Definition at line 157 of file itkOtsuMultipleThresholdsImageFilter.h. Definition at line 97 of file itkOtsuMultipleThresholdsImageFilter.h.